The Renova from Vaporesso focuses on design pod kit. The Zero is the early kit which means a new start for vaporesso. There are 9 colors for the pod kit. It comes with a very simple design. From the package, it is very beautiful. From the package, we can get that there is a bottle in it. The specification for the vaporesso zero kit. On the front with a logo shot with the laser. Below the logo is the on/off button and output mode button also it is an indicator light. 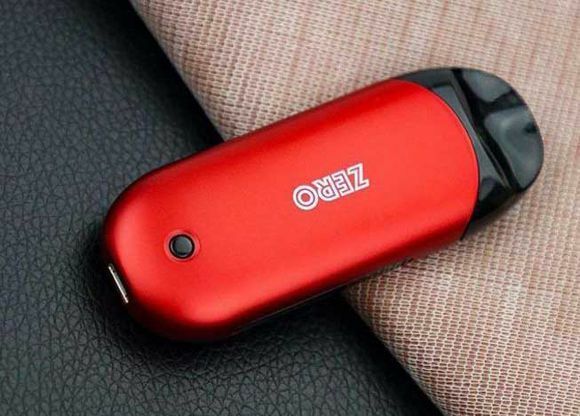 The zero supports to adjust the output wattage to meet the nicotine juice in different to help vapers get the best flavor. The indicator light turns on while inhaling. The back is the logo of the Renova. The flat type shape is very comfortable in hand. The pod adopts zinc and PCTG. It is the first time the PCTG used as the material on vape pod kit. It is a safety material. The Micro-USB charging port located at the bottom. It comes with a 650 mAh battery with 1A charging. With the protections for better user experience and safety in use. It takes 45 Min to get fully charged. It has a great battery life for a 150 inhales at the wattage 12.5W. It just for reference as we have different inhales. The drip tip is an ego which is good for vaping. The channel is very long. The pre-installed coil is the CCELL for the high nicotine satisfaction. The coil is durable with a long using, it has a small effect on flavor. The Pod and the cartridge connect with the magnets. When connected, it can auto recognize the coil. The Cartridge adapts the press to filling, a new way for filling. The PTF system is designed to give simplicity and security. Inserting the nozzle using a little pressure opens the seal then it will close as soon as it is taken out. With this robust locking system, a tight seal is created to prevent any leakage and also makes it is completely childproof. It must be the easiest refilling pod till now. It is very sensitive on on/off with air pressure switch. When inhaling, it starts working automatically. The Auto Temperature control and remaining liquid checking are considerate which supports avoid dry burning effectively. 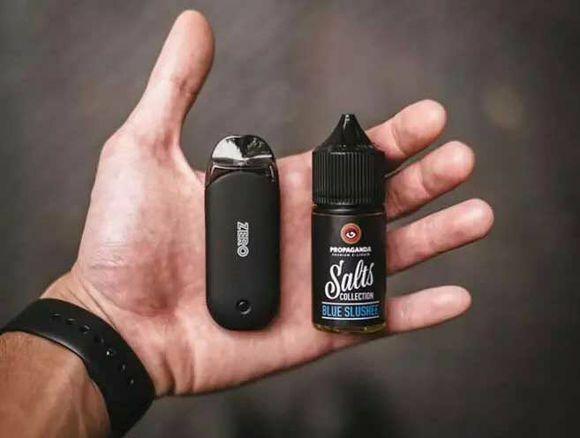 When it is not enough liquid, It stops working which keeps a safe vaping. During the vaping, when using lows Nicotine liquid, when vaping with DL, you would get not enough flavor and vapor. At this moment, you can use a slight DL. When in strong Nicotine liquid, you will get great with DL. It is a pod supports both slight DL for fancy vaping and daily vaping to switch from smoking to vaping. The Vaporesso Zero Kit is the first time adapting pressure to filling system which simply refilling operation and has a better performance on leaking proof. The liquid in the cartridge cannot out, we can only refilling the liquid. The CCELL coil has an improved coil life. And the 2ml capacity is enough for most vapers daily vaping.